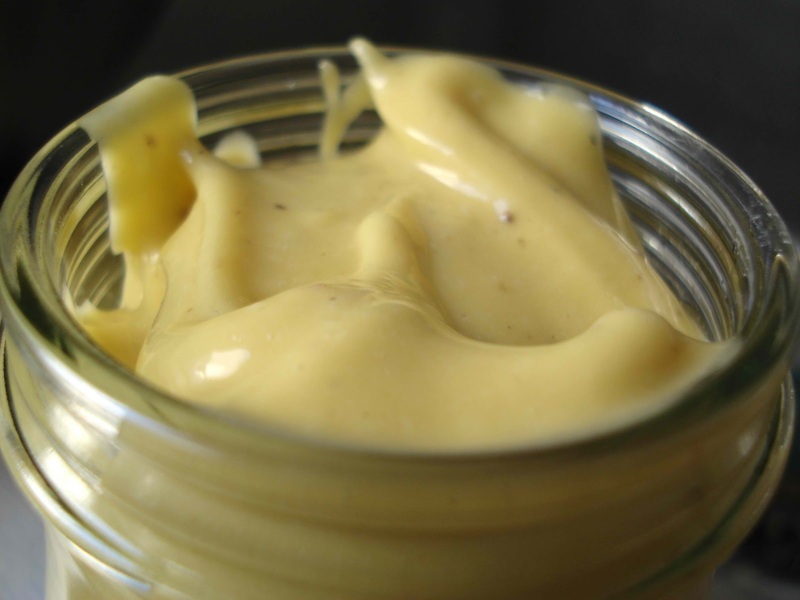 Mayonnaise has been the inspiration for many meals in many kitchens, and making it at home means the cook can “doctor” it up according to preference. Like it hot? Add a little cayenne pepper or tabasco to heat it up. Start with the basics… and improvise. Using a spoon, wire whisk, or blender at low speed, mix the egg yolks, mustard, vinegar, salt, and pepper. Add one quarter of the oil very, very slowly (a drop at a time), beating continuously until the mixture melds. 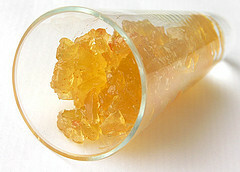 Mix in the water and lemon juice, and when fully blended (it will be a smooth golden color), the remaining oil can be mixed in a little faster. When increasing the quantity, the ratio of egg yolks to tablespoons of water should always be 1:1. If using a spoon or whisk, always beat in the same direction. To increase the heat, use cayenne pepper or tabasco instead of white pepper. If the mayonnaise gets too thick, beat in a little more water or lemon juice. If the mayonnaise separates (oil from water), beat an additional egg yolk in the blender or a clean bowl and add the mayonnaise, one spoonful at a time, beating continuously until it melds.